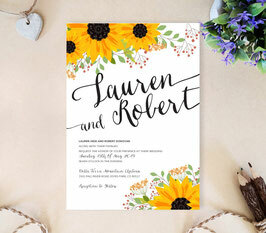 Warmly invite your love ones and friends to your special day with our Sunflower Wedding Invitation. Sweet and down-to-earth, our invitations will inform your guests of all the event details surrounding your rustic wedding. 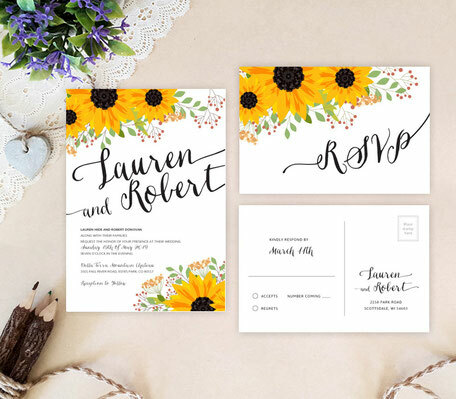 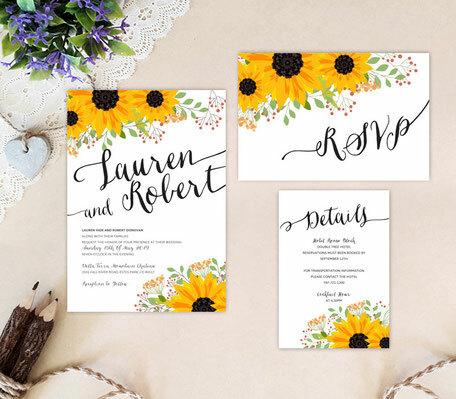 This sunflower wedding invitation features stunning calligraphy with striking yellow sunflowers printed on premium white card stock paper.